JOSE PULIDO'S diverse artistic skill set makes him an acceptional choice for any tattoo enthusiast. With a versital background, including college level Graphic Design and 3D Animation, his love for bringing artwork to life lead him to the wonderful world of tattooing in 2011. Adding Body Art to his list of art mediums has proven to be a strong passion and a whole new lifestyle for him. With a wide range of tattoo knowledge, a strong interest in color and new school, Jose is a perfect fit at Virtuoso Tattoo. 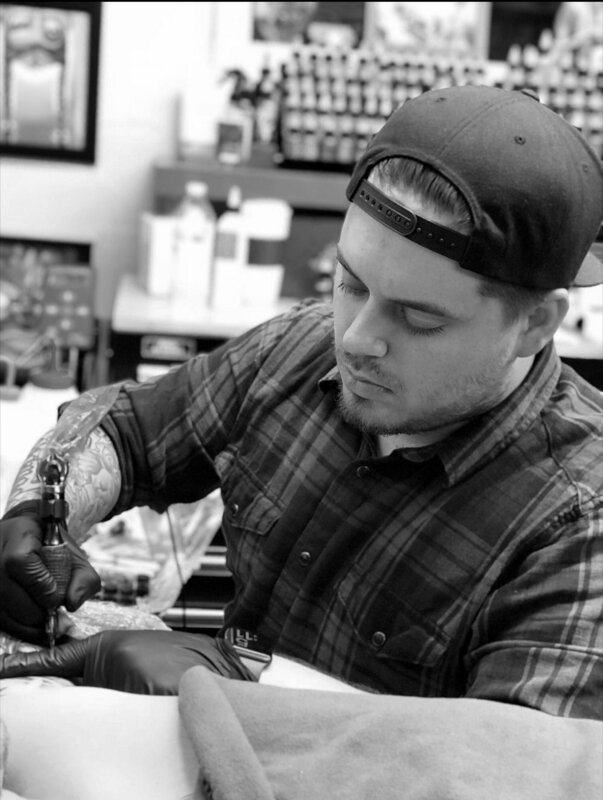 With experience in nearly every style, he is always ready and willing to work with clients ideas, ensuring they get the best custom tattoo imaginable! Check out his portfolio and come set up an appointment with him today.